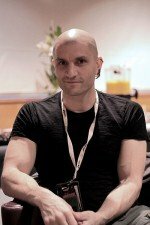 China Miéville is one of the most famous contemporary fantastic genre writers, who won several fantasy and science fiction awards with his works. 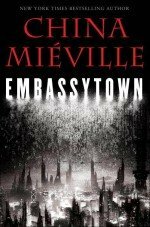 His science fiction book Embassytown was published in Hungarian a month ago, and it was a great opportunity to ask for an interview from Mr. Miéville. SFmag.hu: You’ve become a well-known and recognized author with the Bas-Lag novels. Do you have any plans on returning to that world? China Miéville: Perhaps. But only if and when I can think of a story that necessitates returning, rather than going back just as a default. SFmag.hu: Can we expect some more hard SF novels from you, or was Embassytown a one-time experiment? China Miéville: It was an experiment but I may well go back. I have a feeling it may be the first of the ‘immerverse’ novels. We shall see. SFmag.hu: What was the first thing you read which had a great impact on you? China Miéville: I have no idea! It was too long ago. Possibly the Tarzan of the Apes comic strip drawn by Burne Hogarth. 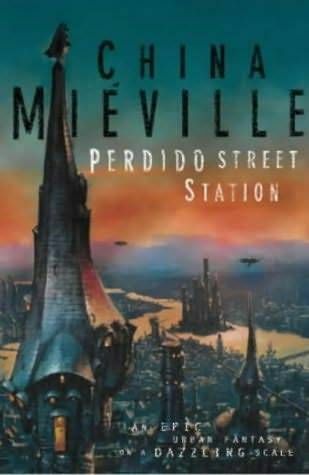 SFmag.hu: How did it feel to win almost all important genre awards with your novel Perdido Street Station? China Miéville: It was a very big thing, early in my career, and very humbling. Though you are too generous – it won some, but by no means ‘almost all’ the important awards! SFmag.hu: Your novel The Scar takes place on the sea. Do you love sea, or was this location only interesting from a literary point of view? China Miéville: Who doesn’t love the sea? It is both literarily and ‘in real life’ fascinating. Though I prefer under the sea to on the top of it. SFmag.hu: What is your method of writing? Do you write with a strict daily schedule? Who is your first reader? China Miéville: I wish I were more organised, but no, sometimes I write every day, other times days go by and I fail to write anything. I’m too scattered. The first reader varies, project to project. SFmag.hu: In your opinion, what makes a story good? China Miéville: This is an impossible question! For me, I like a story that surprises me. SFmag.hu: What comic book series would you whip into shape after Dial H? China Miéville: Dial H was the one I was obsessed with, so I have had that itch scratched for a while. I’d like to do something with Dr Strange, one day, maybe, but I think there’s a queue a mile long for that. SFmag.hu: Can you name any works in the field of fantastic literature which you feel were undeservedly forgotten, yet you think that each and every fantasy-fan should read them? China Miéville: Jane Gaskell; Marion Fox. I’m sure there are others, but those are the two who leap to my mind. SFmag.hu: Cities as locations play an important part in most of your novels, and appear as a sort of characters themselves. Where does this ’city experience’ come from? Is there any real town towards which you feel a particularly strong bond? Do you have a favourite town among those which you created? China Miéville:Obviously London looms very large in my mind. I don’t know where the ‘cityphilia’ comes from – I suspect that, just like many of us, I’m a creature of cities, and so it’s no surprise that they fill my soul. Of the towns I’ve invented, I have a very soft-spot for New Crobuzon, of course, but my favourite changes day to day. SFmag.hu: Is there any chance for us to see one of your writings on the silver screen? China Miéville: Maybe! It’s not under my control, however. You have to ask the holywood producers! SFmag.hu: Do you read contemporary science fiction? Do you have a favourite among your colleagues? China Miéville: I read some, but I’m too slow, and too far behind. More fantasy than science fiction, but I’m currently obsessed with Michael Cisco. SFmag.hu: What is going to be the topic of your next novel? China Miéville: I won’t jinx it by talking about it! SFmag.hu: Seeing the growing popularity of e-books, what is your opinion on the future of book publishing? China Miéville: Anyone who thinks they know what’s going to happen is either wrong or lying. I am excited, however – I don’t think it’s the end of publishing, I think it’s an enormous revolution, and I’m ok with that. We’ll figure it out.